This season promised to be a banner year for Jewish Major League Baseball players — and by and large, the class of ’16 fared pretty well. Many had their best seasons in years, and fans were introduced to a couple of promising newcomers. 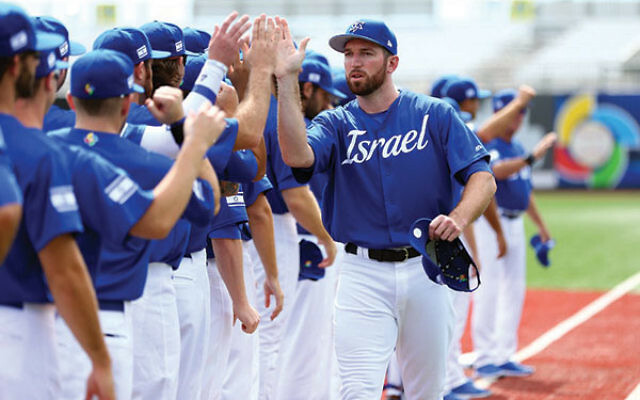 As the big league calendar reaches its climax with the World Series, here’s a look at what all the Jewish major leaguers accomplished (or did not accomplish) during the regular season. Pillar is a human highlight reel and the winner of last year’s Wilson Defensive Player Of The Year Award. Besides his play on the field, Pillar’s a mensch: He’s the team’s nominee for the Roberto Clemente Award, which is handed out each year by Major League Baseball in recognition of “extraordinary character, community involvement, [and] philanthropy.” Along with his defense, Pillar posted respectable batting numbers as a regular starter. Although the lefty-swinging slugger missed two weeks in the beginning of July due to a shoulder injury suffered while making a game-saving catch and had 74 fewer at-bats than in 2015, Penderson still had 100 hits and 25 home runs, just one fewer in each of those categories than in his impressive rookie season last year for the Dodgers. His clutch home run in the playoff series against the Washington Nationals on Oct. 13 helped the Dodgers advance to the National League Championship Series against the Chicago Cubs. The Hebrew Hammer had his best showing since 2012. He enjoyed games of seven, six, and five runs batted in and smacked two homers in a single contest six times. The 32-year-old outfielder certainly would have reached the century mark in RBI for the sixth time in his 10-year career had he not missed 27 games due to injury (plus the birth of his son). Braun was named the Brewers’ most valuable player but the team, which finished fourth in the NL’s Central Division, is rumored to be willing to part with its six-time All-Star and his $13 million contract. Like Pillar, Braun was nominated by his team for the Clemente Award. Kinsler set a franchise record with eight leadoff home runs in a single season. He homered in four straight games in May and three straight in June, finishing with 28, his highest total since his 31 in 2011. The Tigers infielder had a scary moment when he was hit in the head with a pitch, which caused him to miss several days in late September. The Tigers finished with a record of 86-75, second in the American League Central but two and a half games short of a wild card spot. Valencia approached personal bests in almost every offensive department. Ostensibly a third baseman, Valencia saw action at five positions, including designated hitter. His best game came on May 15, when he hit three homers and drove in five runs in a 7-6 win over the Tampa Bay Rays. The promising 22-year-old rookie struggled early after making his major league debut on July 25, going six games before getting his first hit and batting just .198 through 21 games. But he finished strong and wound up with eight home runs and 34 RBI in 49 games — that works out to 26 homers and 112 RBI over a full season — and a slash line (batting average/on-base percentage/slugging percentage) of .264/.313/.478. A hamstring injury put him out of action for most of the last three weeks, which may have been a reason the Astros missed an AL wild card slot, finishing third in the West with an 84-68 record, five games out of the running. The former 17-game winner had a few mediocre performances as a starting pitcher this year before finding his niche in the bullpen. The tallest of the Jewish players at six-foot-seven, Feldman was dealt from the Astros to the Blue Jays at the trading deadline but never seemed to mesh with his new team. He was left off the Jays roster for the AL Championship Series. The lefty reliever made his major league debut on May 30 and was used mostly as a middle reliever in his 23 appearances. The 29-year-old’s best outing came on Sept. 12 against the Dodgers, when he pitched four hitless innings. Davis languished in the Rangers’ minor league system before being released on June 12. The Yankees picked up the fancy-fielding first baseman the next day, but never really gave him a chance, sending him to the minors after just over a week. 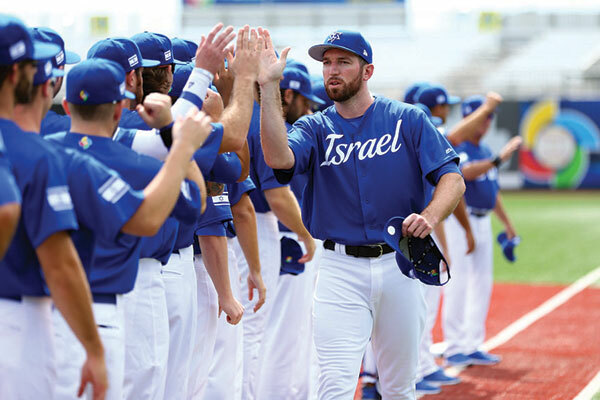 The 29-year-old son of former big leaguer Ron Davis was a member of Team Israel, which won the World Baseball Classic qualifier last month in Brooklyn to qualify for the tournament’s quarterfinals in March in South Korea. Moscot, a righty, wouldn’t have any luck if he didn’t have bad luck. He made five appearances in the majors this year before going down with an inflamed shoulder a year after an intercostal strain ended his rookie season after just three games. Once he healed from the 2016 injury, he spent the rest of the season in the minors. The former longtime major league catcher finished his third season as Detroit’s manager and dealt with the usual set of injuries and slumps that all skippers face. The Tigers finished second in the AL Central, narrowly missing a wild card playoff berth, but his job was rumored to have been in danger on several occasions. Ausmus will be back in 2017, but the front office may not have much patience if the team gets off to a slow start.